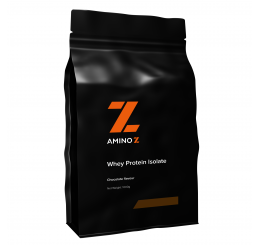 What is Amino Z Micronised Creatine Monohydrate Powder? Energy is the name of the game when you are pushing your through your workouts. It doesn’t matter if you lift weights or sprint on the track, if your muscles run out of energy, you feel it and suddenly, your workout is over. Supposed energy supplements only mask the problem; they don’t fix it. Creatine monohydrate, on the other hand, solves the problem. Converted into ATP (adenosine triphosphate) once ingested in the body, creatine monohydrate provides your working muscles with the fuel they prefer. This means more working sets and repetitions for you. This could be the difference between almost reaching your goals and smashing through them. When you want an elite brand of creatine that can support your fitness goals, you need Amino Z Micronised Creatine Monohydrate Powder. Providing your muscles with 5 grams of completely bioavailable creatine monohydrate, Amino Z Micronised Creatine Monohydrate Powder may be able to amplify performance, recovery, and results. 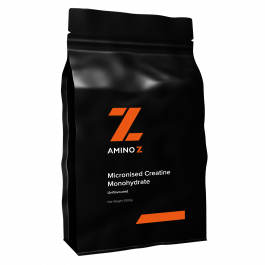 What are the Benefits of Using Amino Z Micronised Creatine Monohydrate Powder? Amino Z Micronised Creatine Monohydrate Powder isn’t just another run-of-the-mill creatine supplement. 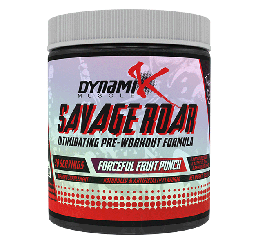 It features 5 grams of rapidly absorbing and highly bioavailable creatine monohydrate. Micronised creatine monohydrate has been shown to digest faster and assimilate more effectively. This means that the fuel your muscles need gets to them faster. Who Should Use Amino Z Micronised Creatine Monohydrate Powder? Believe it or not, Amino Z Micronised Creatine Monohydrate Powder is an ideal supplement for all types of fitness enthusiasts. No matter what your preference of exercise is, you are actively using your muscles. As a response, your muscles will need fuel. Amino Z Micronised Creatine Monohydrate Powder is the fuel that your muscles prefer. 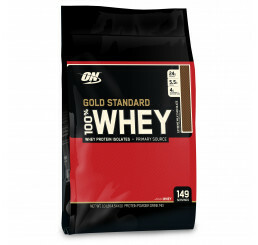 Use it before, during, or after a workout to replenish ATP stores in the body. Used as directed, Amino Z Micronised Creatine Monohydrate Powder may be able to dramatically boost recovery, athletic performance, and intra-workout strength. Crush your workout and boost your recovery with Amino Z Micronised Creatine Monohydrate Powder. 1. Kreider RB. Effects of creatine supplementation on performance and training adaptations. Mol Cell Biochem. 2003 Feb;244(1-2):89-94. 2. Robert Cooper, Fernando Naclerio, Judith Allgrove, and Alfonso Jimenez. Creatine supplementation with specific view to exercise/sports performance: an update. J Int Soc Sports Nutr. 2012; 9: 33. Published online 2012 Jul 20. doi: 10.1186/1550-2783-9-33. Manufactured in a facility that processes milk, soy and tree nuts (coconut); traces may be present. Formulated supplementary sports food. Not to be used as a sole source of nutrition. This food should be consumed in conjunction with a nutritious diet and a suitable physical training or exercise program. Not suitable for pregnant or breast feeding women or children under the age of 18 years. Should only be used under medical or dietetic supervision. I really like this creatine powder but i have ordered 4 x 1kg Creatine powder in my order summary. Don't waste your money on overpriced creatine - Big-name brands will often charge 3x this price for the exact same product. AminoZ has some of the best value supplements you can find and this is definitely one of them. No BS, just what is advertised. Great product by AminoZ! Cannot fault it. No taste is ideal for mixing into any beverage. 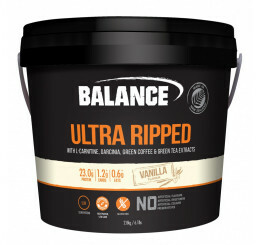 Great ingredient composition that greatly aids in training and recovery. Being enjoying 5G pre workout for a couple weeks now and I’ve noticed greater endurance in my workouts. Would highly recommend above other “common” brands. Good work AminoZ for a killer product. Creatine is something you can buy anywhere. Wiso many different brand and prices. This is the best value by far of any other out there! I've found that my muscles are recovering quicker than they normally do, and i can push myself that little bit harder in the gym. No nasty side effects, and no bad taste left in your mouth. Just a good quality, very affordable product. Will definitely be buying it again! Thanks Amino Z! Cheap cost as compare to other creatine available in market with same taste, same quality and same performance. Then why choose other if AminoZ Creatine is available.